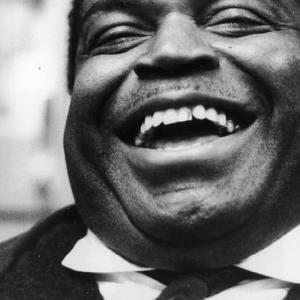 Willie Dixon (born July 1, 1915, Vicksburg, Miss., U.S.-died Jan. 29, 1992, Burbank, Calif.) was a U.S. musician who influenced the emergence of electric blues and rock music. In 1936 Dixon moved from his native Mississippi to Chicago, won an Illinois Golden Gloves boxing championship, and began selling his songs. He played double bass in several bands before joining Chess Records. His lively compositions, which he sold for as little as $30, included ?Little Red Rooster,? ?You Shook Me,? and ?Back Door Man? ; many were later recorded by Muddy Waters, Elvis Presley, and the Rolling Stones. Dixon toured widely throughout the U.S. and Europe. "You Can't Judge A Book By Looking At Its Cover" ? Bo Diddley, Shadows of Knight, Cactus, The Yardbirds, Beat Farmers, The Fabulous Thunderbirds, Tim Hardin, The Merseybeats, Elliott Murphy, Long John Baldry, The Monkees, Eric Clapton, Roy Buchanan. "Whole Lotta Love" ? Led Zeppelin. Led Zeppelin's "Whole Lotta Love" was appropriated, without credit, from Dixon's "You Need Love". Although the main guitar riff was composed by Jimmy Page himself, Robert Plant based the lyrics on Dixon's song. Dixon and his music publisher received credit and royalties, after a 1985 lawsuit was settled out of court.